Pollack and herring swim past newly discovered Primnoa coral in the Schoodic Ridges of the Gulf of Maine earlier this summer. Primnoa Coral and anemones on the Schoodic Ridges. 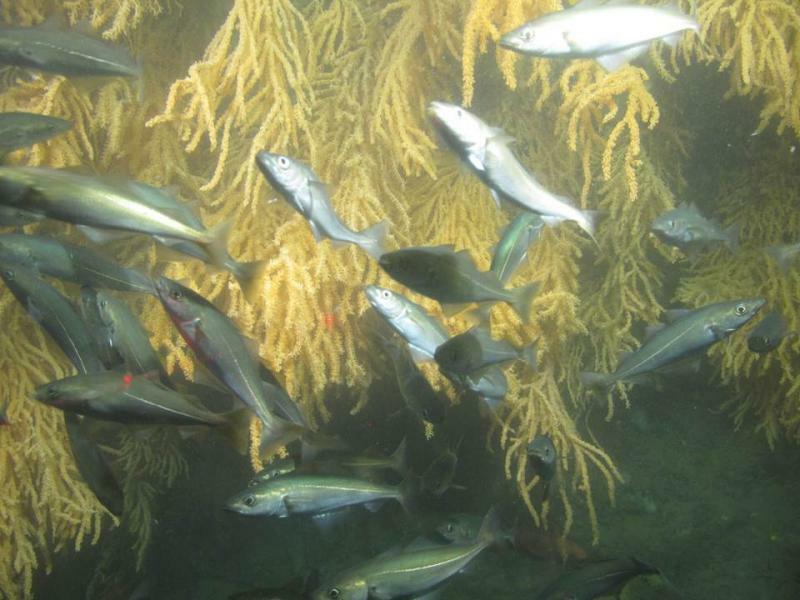 Herring swim by Primnoa coral on the Schoodic Ridges. The red dots, from lasers, are used to scale and to measure objects on the seafloor. Primnoa coral on the Schoodic Ridges. MOUNT DESERT ISLAND, Maine - When you think of colorful, underwater displays of orange and pink coral, your mind probably goes to warm, sunny places like Australia or Hawaii. But this summer, a team of New England researchers discovered massive coral gardens off the coast of Mount Desert Island. 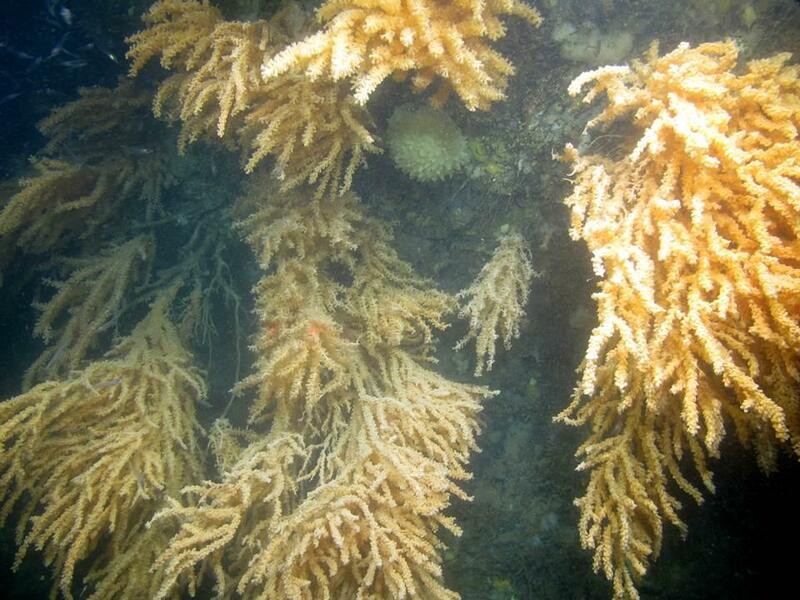 It's part of a coral mapping project by the National Oceanic and Atmospheric Administration. Jennifer Mitchell talks with Rhian Waller, a marine scientist at the University of Maine, about the discovery. 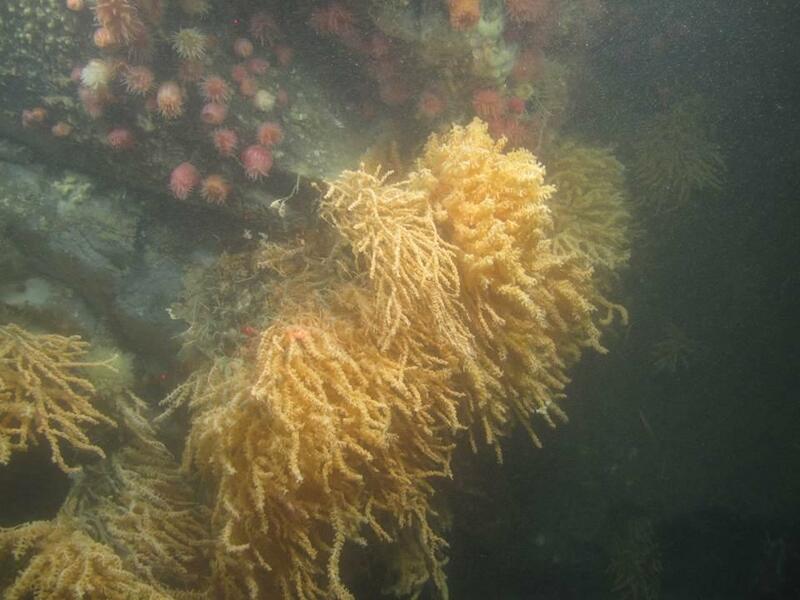 Jennifer Mitchell reports on the discovery of extensive coral formations in the Gulf of Maine. View a video of the coral formations, shot by the Kraken 2. 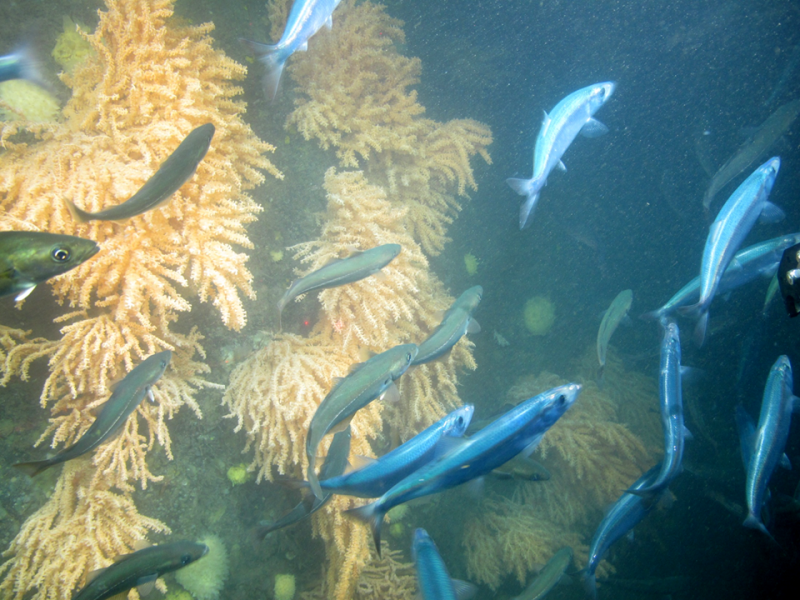 PORTLAND, Maine (AP) _ A team of American and Canadian scientists is about to depart on a two-week study of deep-sea corals in the canyons in the northern Gulf of Maine. Martha Nizinski of the National Oceanic and Atmospheric Administration's Northeast Fisheries Science Center and Anna Metaxas of Dalhousie University in Halifax, Nova Scotia, will lead the scientists. They depart Woods Hole, Massachusetts, on Wednesday aboard the NOAA ship Henry B. Bigelow and return to Newport, Rhode Island, on July 1.